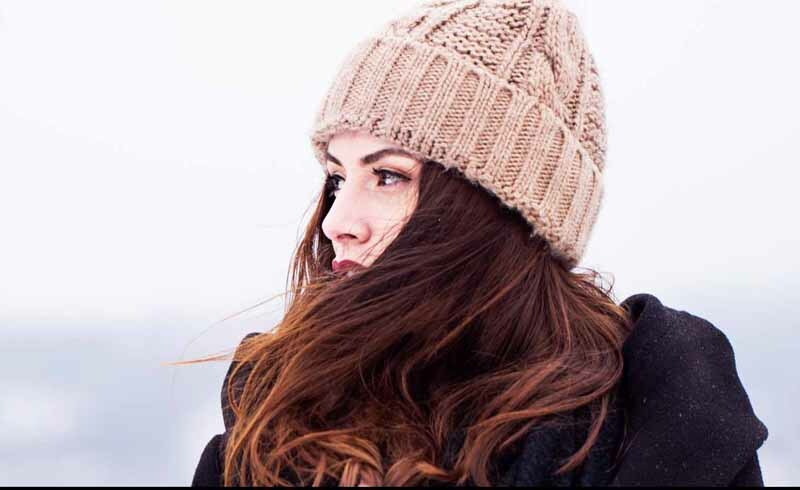 Cold air can leave hair dull and dry. Revive strawlike strands with our four easy-to-follow steps, then get ready to love your hair, no matter the season. Before you get in the shower, apply a few drops of oil to dry hair, says Mario Russo, a salon owner in Boston. "Because water repels oil, dry hair is able to soak up the moisturizing properties better than wet hair," he says. "Shampoo at the end of your shower; the steam will help the oil penetrate to the cuticle." Try Alberto VO5 Shine, Glow & Go Beauty Oil (drugstores). If you have a lot of breakage or dandruff, use dry shampoo sparingly. "The powder removes essential oils," explains Sunnie Brook Jones, a celebrity hairstylist for Head & Shoulders. Once a week, use a deep-conditioning mask. Apply it to damp strands, then cover with plastic wrap, Brook Jones says. The heat helps the treatment penetrate deeper. Try SheaMoisture Manuka Honey & Mafura Oil Intensive Hydration Masque (Target stores). Heat styling is only going to add insult to injury to parched strands. "Let your hair dry naturally and experiment with ponytails, low buns and sleek, slicked-back styles," Brook Jones says.